The Great Glen is a magnet for tourists and hence the main A82 through the Glen is a very busy road for traffic. There are really few other alternative routes for bicycles north of Fort William other than the new Great Glen Cycle Route that picks its way through the Glen. Ideal for Mountain Bikes but unfortunately of very little use if you are travelling on light weight road bikes. Therefore we would have to take our chances with the tourist traffic for a majority of today’s route. South of Fort William there is however a superb diversion with next to no cars at all offering wonderful views of the tallest mountain on the British Isles. 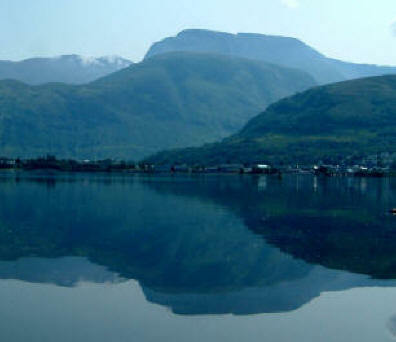 Ben Nevis at over 4048ft. To pick up the diversion we cycled the short distance to the Corran ferry on a bright still morning, taking the ferry across to the West side of Loch Linnhe. We cycled along the very quiet B road to Camusnagual where we had to lie in the sun for a couple of hours waiting for the passenger ferry to take us the short distance across the Loch to Fort William. From Fort William, we followed as much as possible the Caledonian Canal Tow path that is part of the Great Glen cycle route. This wasn’t particularly well surfaced, ok for mountain bikes, but with our very narrow tyres, we needed to take it very carefully. Another very hot day, significantly hotter than yesterday so must have been into the 30’s. As we climbed the modest hill from Gairlochy towards Spean Bridge we suffered from the 2pm sun on our backs and deep lung-full’s of hot air rising from the hot road surface. We decided that from now onwards we should get up early in the mornings and be on the road before 7am to avoid much of this heat. We stopped off for a well deserved ice cream and some essentials for our tea at Fort Augustus and cycled the final 12 miles to Loch Ness Youth Hostel. Loch Ness Youth Hostel proved quite entertaining with a very laid back Scandinavian assistant warden who wouldn’t do anything until he had got his “boost juice” sorted out. (Coffee to you and me). His laid back approach however was counteracted by his boss who resembled a female commandant who modelled herself on a 3rd world dictator. Food – Food stops were not an issue today. 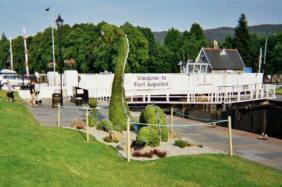 We shopped in the large supermarket at Fort William and carried our provisions for a couple of miles so we could picnic beside the Caledonian canal. After that we stopped for a tea break at the Letterfinlay Lodge Hotel on the banks of Loch Lochy before shopping again in Fort Augustus at the Spar for our tea which we had at the SYHA. The Route – The detour off the busy A82 across the Corran ferry (frequent vehicle roll on / roll off ferry on which foot passengers and cycles go free. and back across the Loch to Fort William from Camusnagaul, was a very worthwhile detour that gave us an almost unused practically flat road with stunning views across to Ben Nevis. The only negative being the frequency of the Camusnagaul ferry that means you end up possibly waiting a couple of hours to return across the Loch, and if it was raining, there is little shelter. The best thing to do in bad weather is to take refuge in the hotel (I think it’s a hotel) once you’ve crossed at Corran by the ferry slipway where you can at least buy refreshments out of the rain and plan your trip to minimise the time you have to wait at Camusnagaul. The A82 through the Great Glen however is far from pleasant and if you can avoid it all for the better. It is very busy not only with local traffic, but heavy commercial traffic and tourists as well. None of use enjoyed that part of the route at all. There is the Great Glen Cycle Route but all advice we received was that this was suitable for Mountain bikes only and not at all suitable for narrow racing cycle tyres. We did follow parts of the cycle route where it followed the Caledonian Canal as a respite from the A82. We did get through but very slowly as the surface is very rough indeed. Camasnagaul Passenger Ferry times are as follows (these times were valid for Monday to Saturday summer 2012 so check for changes): – 0815, 1015, 1230, 1635. 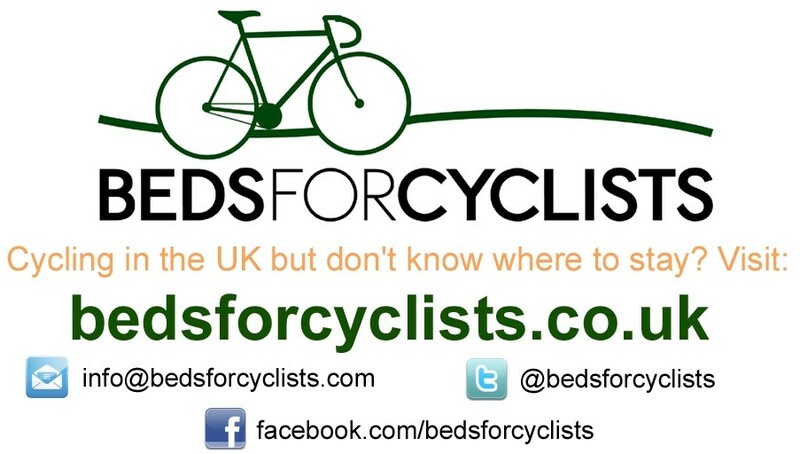 A single costs £1.50 with a £1.50 charge per bike. . It takes about 15 – 20 mins (see photo). From the SYHA we retraced our steps through Glen Coe and back to Ballachulish where we crossed the A82 bridge and headed north towards the Corran ferry. 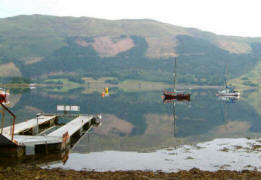 We took the ferry across the Loch turned R and headed up the Loch towards Camusnagaul. 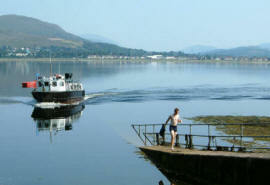 Catching the passenger ferry at Camusnagaul, we landed at Fort William. After the supermarket we took minor roads to join the B8006 where we turned L until it joined the A380 where L and almost immediate R to join the Caledonian Canal and the Great Glen Cycle Route. We stayed on the west bank of the canal until Gairlochy where we turned R on to the B8004 and followed to the A82 where L.
Stay on the A82 past Laggan, Invergarry, and at Bridge of Olch turn L follow cycle route alongside Caledonian Canal to Fort Augustus. Turn back on to A82 and follow past Invermoriston to Loch Ness SYHA.